The primary focus of Refunds to Go is to provide “Assistance, Accuracy, and Satisfaction to neighborhood and local residents looking to file personnel and business taxes. We served more than 1500 local residents in 2012 and look forward to expanding by creating an inviting façade and comfortable interior for our clients and employees. Thorman Jerry is the President and CEO of the company and is a native Washingtonian. Mr. Jerry grew up in Northeast D.C., in the Brookland neighborhood. He has been in the tax business for more than two decades and has a passion for teaching his clients and friends about financial fitness. He channels that energy into his business and currently operates full service tax business that covers Washington, D.C., Maryland and Northern VA. 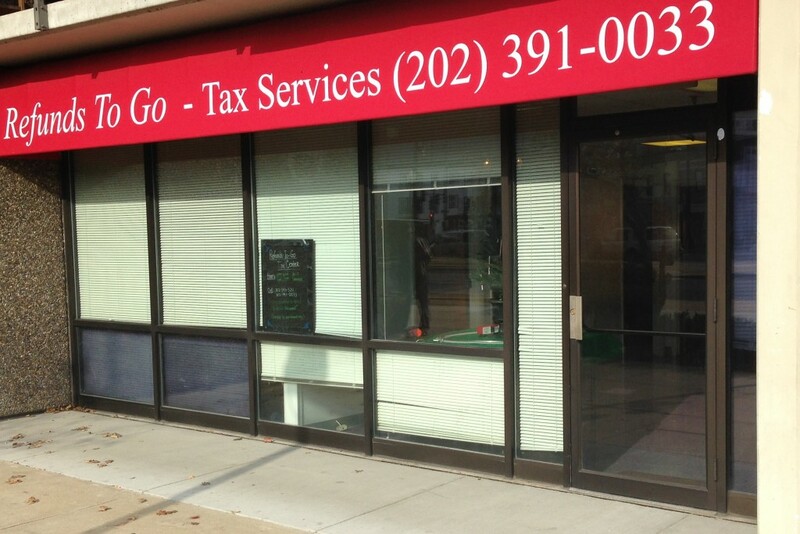 The Tax Center has been part of the H Street business community since 1978. It has been a place where local residents have always felt comfortable coming to get their taxes done along with a little financial advice. When Mr. Jerry purchased the Tax Center his goal was to make sure that the business and its clients still received the same or better level of tax advice and service without leaving their neighborhood. Refunds to Go was able to extend that feeling of comfort to longtime residents as well as equipped its office with the tools and amenities needed to attract and maintain the new clients that are entering the neighborhood.